Singers and actors are both entertainers. They use their voices and bodies to thrill people’s ears and eyes. But not every singer is a great actor, nor is every actor a great singer. It’s tempting for singers to try to parlay their talents into a career on the silver screen. I’d like to talk about the varying degrees of success singers have had over the years attempting to transition to acting. This article got ridiculously long as I put it together, so I’ve split it into two. Part 1 will focus on the singers who tried and mostly failed to become successful actors while Part 2 will be about the ones who managed to have it all on the concert stage and the big screen. These singers couldn’t even muster a single hit film, even if they tried multiple times. 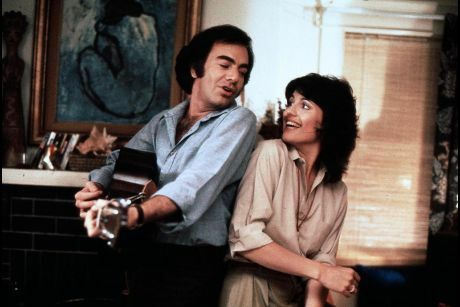 Neil Diamond – In 1980, Neil Diamond thought it would be a good idea to remake the first talkie ever, 1927’s The Jazz Singer. Unfortunately, it didn’t translate very well. Neil Diamond’s soundtrack is probably the best of his career, featuring the unbelievably awesome “America,” among other gems. But Diamond was frankly too old for the part of a young, hungry musician, and his acting wasn’t even close to matching the talent of his costar, Sir Lawrence Olivier. This Diamond couldn’t even come close to lasting forever. 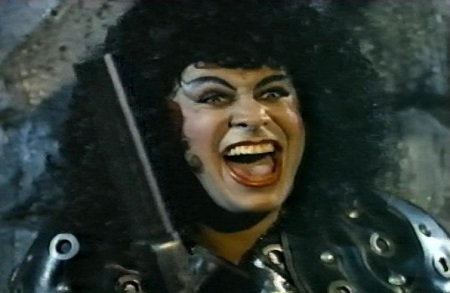 Gene Simmons – The fact that Gene Simmons didn’t become a bankable actor was not for lack of trying. In 1984, he appeared in the Tom Selleck vehicle, Runaway. Two years later he appeared in Trick or Treat and then played an over-the-top villain in Never Too Young to Die, which starred a very young John Stamos. Then in 1987 he co-starred with Rutger Hauer in Wanted: Dead or Alive. Every one of those films bombed. He’s shown up in a few other films here and there in the past two decades, but his presence in films has usually proven to be the kiss of death. 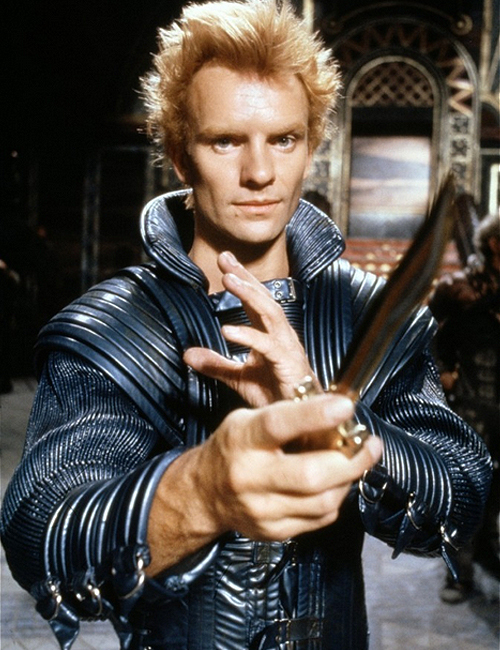 Sting – I don’t think Sting ever starred in a film that earned back its budget. Ouch, that… smarts. His performance in 1984’s Dune proved to be one of the most memorable things in the film. His “I WILL KILL HIM!” boast has been repeated many a time among lovers of bad movies. Unfortunately, that film bombed badly, and so did just about everything else Sting touched as his acting career failed to take flight during the ‘80s. 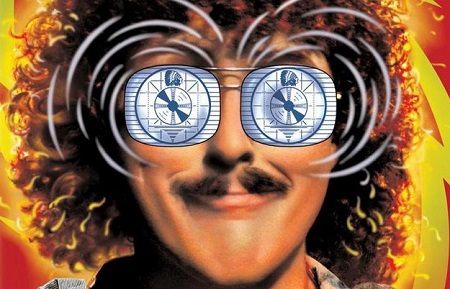 Weird Al Yankovic – Weird Al Yankovic wrote a light-hearted comedy for himself back in 1989 called UHF. He got the director of many of his music videos to helm the film and he got a very young Michael Richards and Fran Drescher to take scene-stealing roles in this delightful little comedy. For some reason, it was lambasted by critics and ignored by filmgoers. I first heard about it in 1997, and I’ve been pleased to see it become a cult classic over the years. Its failure ensured Weird Al would stick to musical parodies over film ones. George Strait – 1992 was the best and worst of times for George Strait. He starred in a film called Pure Country that year, and although the film failed to find an audience, its soundtrack was a big seller. Critics were hard on the film, but they praised Strait’s performance. He walked away from Hollywood after that experience and stayed on the strait and narrow path to stardom with his music. Mariah Carey – Mariah Carey got so many negative reviews for 2001’s Glitter that she got horribly depressed and hasn’t appeared in another film since. That film is basically a self-aggrandizing remake of A Star Is Born. The difference is that Glitter was stillborn. These singers enjoyed one majorly successful film, but they were never able to recapture the lightning in a bottle. Diana Ross – Diana Ross began her acting career with a bang and ended it with a whimper. In 1972, she was nominated for the Best Actress Academy Award for her performance in Lady Sings the Blues. The film was a hit and earned four other Oscar nominations. That would prove to be the pinnacle of her acting career. Three years later she starred in Mahogany, which earned significantly less praise and money than her first film, and three years after that she starred as Dorothy in The Wiz. 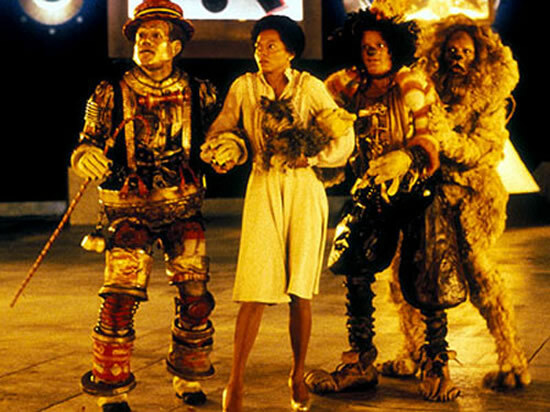 Despite a stellar cast (which included a young Michael Jackson), The Wiz failed to earn back its budget. It has gone on to become something of a cult classic, thanks to its decent soundtrack, but it would be the last time Ross starred in a theatrical film. 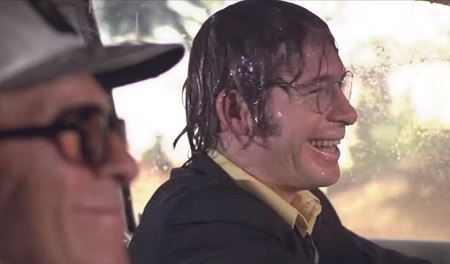 John Denver – Long before Jim Carrey was getting godlike powers from the Man Upstairs in Bruce Almighty, John Denver was being confronted by a similar situation in 1977’s Oh God! Denver’s character is constantly confused and in over his head, as God delivers a message to him to share with the people of Earth. He’s not interested in being a prophet or a martyr, but he’s forced to take on both roles as he and God are put on trial and suffer various other crosses. Sadly, this would be Denver’s only major role in a theatrical film. This country boy stayed busy with his music and charity work over the years, but films just weren’t in the cards for him. 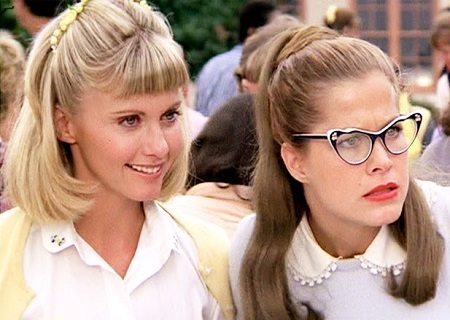 Olivia Newton-John – Olivia Newton-John is synonymous with Sandy, thanks to her star-making performance in 1978’s Grease. She sang and acted her way through that film about teenage angst like a pro. But her next film, Xanadu, was a disaster. I can’t fault her for her singing ability, but that film is simply one of the most epically awful movies I have ever seen. She tried to recapture the magic by co-starring with John Travolta in 1983’s Two of a Kind, but it was clear by then her acting career was on a slippery slope down. 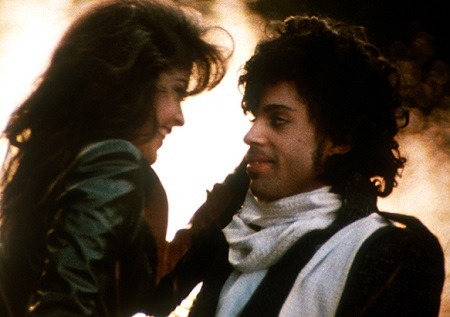 Prince – The late Prince starred in three theatrical films, starting with 1984’s semi-autobiographical Purple Rain. That was a surprise hit, grossing more than 10 times its budget worldwide. But neither Under the Cherry Moon nor the sequel to Purple Rain, Graffiti Bridge, made any sort of dent at the box office. This artist would only be known for one big hit. Tina Turner – I have tried to watch 1985’s Mad Max Beyond Thunderdome several times. I can never get past the dreary tone and the off-putting performances, including Tina Turner’s. This was her big chance at a co-starring role in a major Hollywood production, and she proved she couldn’t really shoulder such a burden. The film did earn a profit, but it’s generally considered to be the worst of the Mad Max series. Turner never headlined another film after this. One woman entered, and she never made it out. David Bowie – When I hear the name David Bowie, I think of two words: Goblin King. The man could really sell a bizarre concept of a film. 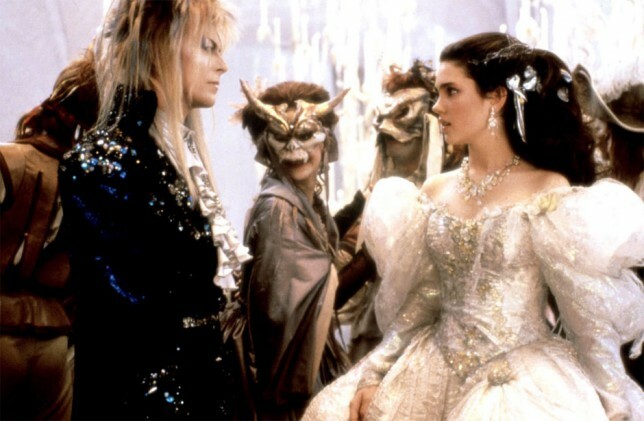 1986’s Labyrinth wasn’t Bowie’s first film, nor was it even a hit at the box office. But it’s gone on to become such a beloved classic that I consider it his one true hit that he headlined. His previous starring roles had all earned plenty of praise, although the films themselves were usually poor. He did have small roles in The Last Temptation of Christ and The Prestige, but he was never able to lead a film to success on his name and acting talent. Whitney Houston – Whitney Houston was brilliant. She had the best voice in the business in the early ‘90s, and she took on a role where she got to basically play herself in a film where she could do the soundtrack, as well. Plus, she could play second fiddle to Kevin Costner at the height of his popularity as an action star. Thus, 1992’s The Bodyguard came to be. It was a critical flop but a commercial blockbuster. After that, Houston had some mild success with Waiting to Exhale, The Preacher’s Wife, and the Disney Channel version of Cinderella with Brandy Norwood. But nothing else ever came close to her first hit. Aaliyah – Aaliyah co-starred with Jet Li in 2000’s Romeo Must Die. While her acting wasn’t great, the film did fairly well at the box office, enough to get her more roles. Her next film, Queen of the Damned, earned half as much as her first one. She was set to play a supporting role in the two Matrix sequels, but she tragically died in a plane crash in 2001, so she her career was cut short. Britney Spears – At the height of her musical career, Britney Spears thought it would be a good idea to star in her very own film, 2002’s Crossroads. It managed to turn a profit, and its cast is surprisingly full of good actors. However, Spears’ singing and acting career stalled not long after this film and she’s never recovered. Eminem – Marshall Mathers (a.k.a. 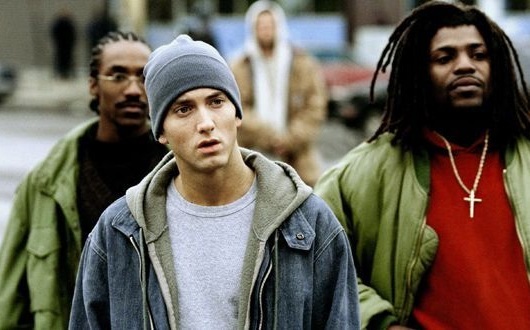 Eminem) starred in just one film, 2002’s 8 Mile. It proved to be a huge hit, surpassing pretty much everyone’s expectations. For a film primarily focused on a singer’s talents as an actor, 8 Mile is probably the most successful of its kind. Eminem never even attempted to top this film with an obligatory sequel or some other vehicle. Instead, he stuck to his guns and went back to his music. Come back next week for the second half of this list where I’ll talk about the many singers who, against all odds, managed to have spectacular acting careers. Who’s on that list? Let’s just say I’ve saved the best for last. This entry was posted in Random Stuff and tagged 1980s, action movies, actors, music, puns, singer, soundtrack. Bookmark the permalink.